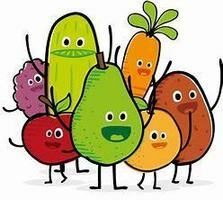 Students/Parents, Please take a moment to fill out the following food service survey. CLICK HERE FOR SURVEYYour input is appreciated! 2-8-19 MS Basketball Game - CANCELLED - due to inclement weather possibilities. 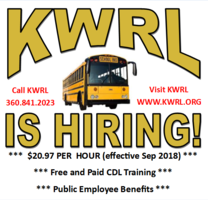 School Design Presentation - January 10th @ 6:00 p.m.
KWRL is hiring for bus drivers! Call 360-841-2023, or visit www.kwrl.org for more information. 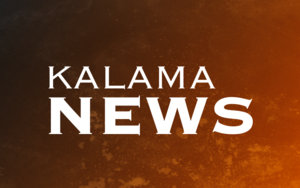 Kalama School District is in need of Classified and Certificated substitutes in all areas, including: Student Supervision Kitchen Work Custodial Teaching Secretarial If you or someone you know is interested, please contact the district office at 360-673-5282!